In the shop you find things that may come in handy. 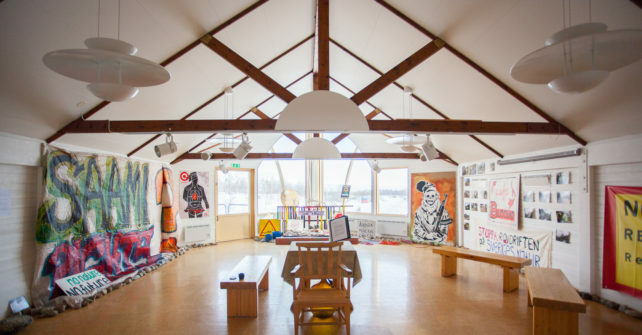 Gallery Skáidi presents art exhibitions of different kinds. We have a lot of Sami handicrafts made out of wood, horn, leather and textiles. What used to be historically utility are now exclusive and collectibles. If you are heading out on the mountain trail, there are mountain maps, some equipment, LPG, methylated spirits and a small range of food supplies for your hiking. Upstairs is Gallery Skáidi – here you will meet art from our region. The mountain environment inspires many artists and we hope you will find it interesting.